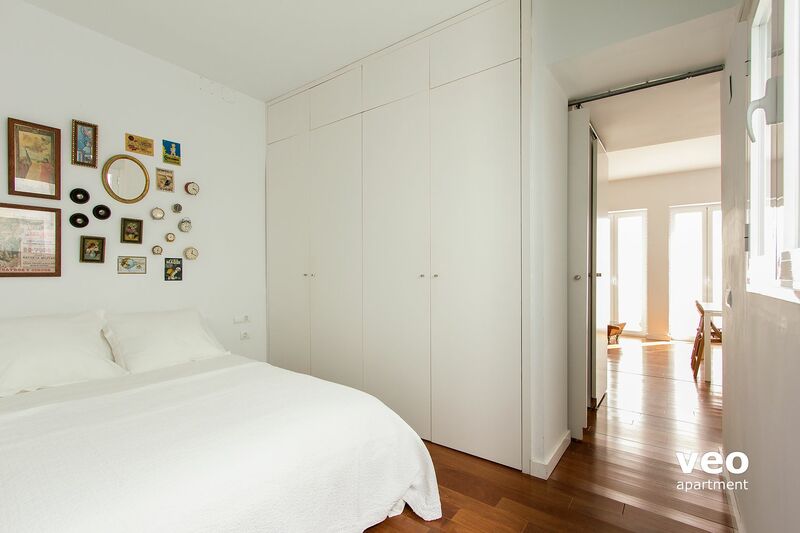 Apartamento de un dormitorio para 3 personas. Situado en el centro histórico de Sevilla, a unos 15 minutos a pie de los principales lugares de interés y monumentos. Barrio de la Macarena. Muy luminoso, con dos ventanales que abren un gran patio privado, con acceso exclusivo para residentes. Hay un sofá, TV y una gran estantería. Mesa de comedor y sillas. La cocina americana está contigua al salón. Con una isla de cocina, horno, lavavajillas y lavadora. Dormitorio con cama de matrimonio y armario empotrado. Es muy tranquilo, ya que su ventana da a un patio interior. Hay una cama supletoria disponible para alojar una tercera persona. 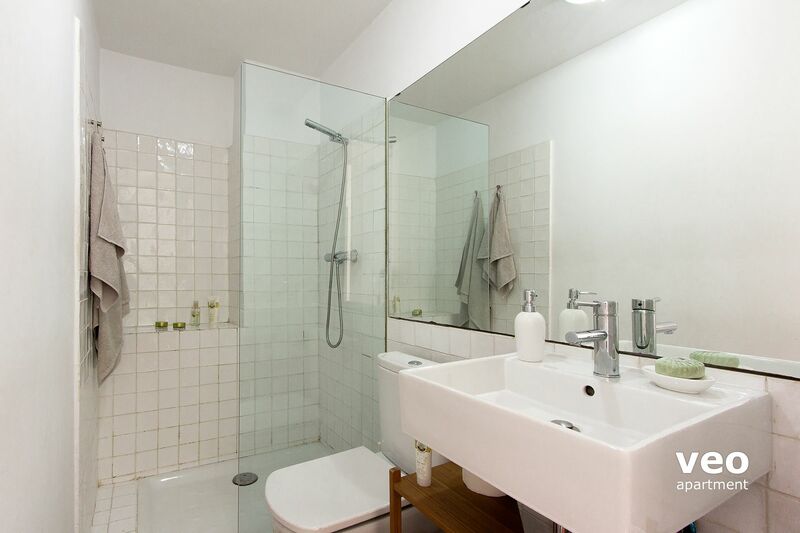 Junto al dormitorio está el cuarto de baño con ducha. Otras características: aire-acondicionado (frío/calor), internet WIFI y teléfono (ver condiciones). "Santa Marina 1" tiene una decoración moderna y funcional. 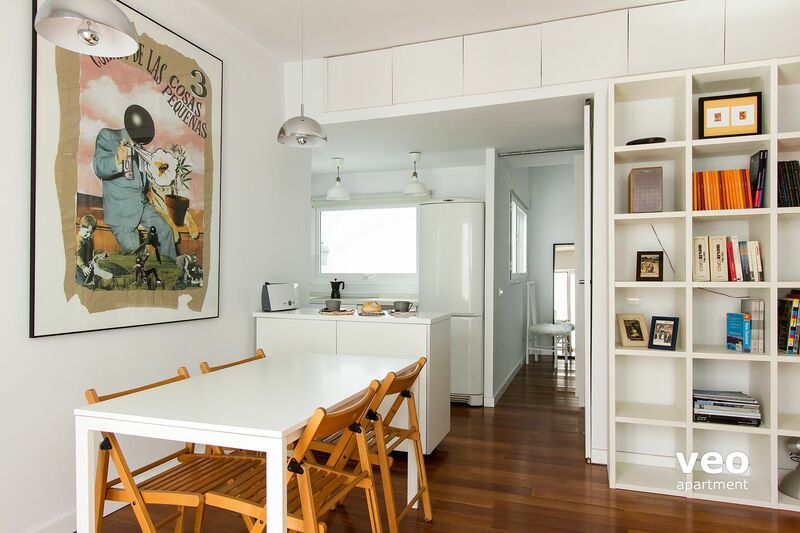 El suelo de madera contrasta perfectamente con los muebles blancos de estilo contemporáneo - creando de un espacio elegante y acogedor. En la azotea del edificio hay una terraza compartida entre dos apartamentos. Espacio disponible para tender ropa y poder tomar algo al aire libre. 14:30 - 23:00h. Suplemento para llegadas después de las 23:00h: 20 EUR (a abonar en efectivo a la llegada). Si van a entrar antes de la hora establecida, solicítenlo con antelación. "Eine schöne, preiswerte Wohnung mit allen Annehmlichkeiten in einer tollen Lage"
Die Wohnung war für uns (2 Personen) ideal und Elena, die Vermieterin, konnte alle unsere Fragen beantworten und uns auch sehr wertvolle Tipps geben, was Sevilla allgemein und die nähere Umgebung speziell angeht . Sie war jederzeit leicht zu erreichen und auch flexibel, was vor allem bei unserer sehr verspäteten Ankunft wichtig war. 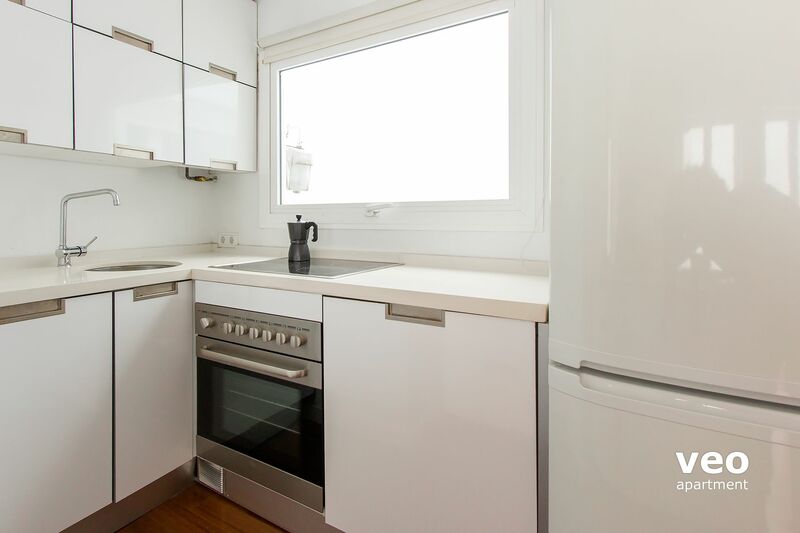 Alle Angaben auf der Website zu dieser Wohnung waren korrekt und wir würden sie jederzeit gerne weiterempfehlen. 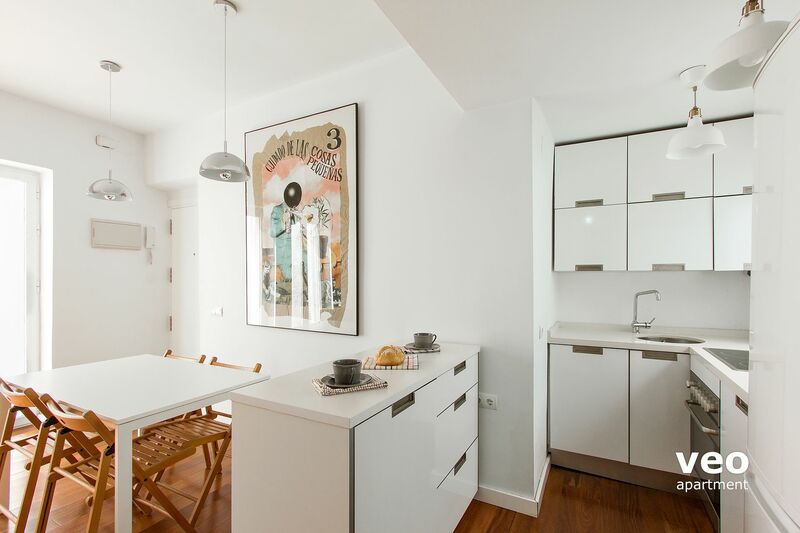 "Well designed , well equipped apartment in a charming area of Sevilla ." Good design is important to us , we were impressed with this bright and practical home from home. We ate ( and drank!) mostly in the local tapas bars and restaurants although we didn't need to do so as the kitchen was very well equipped . Elena was a star , very helpful and informative . 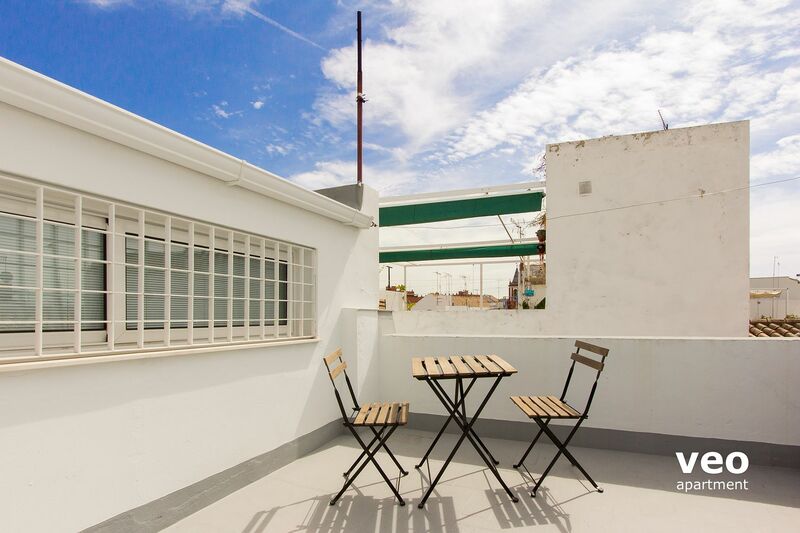 A great apartment slightly away from the hustle and bustle but within walking distance of all the major attractions. 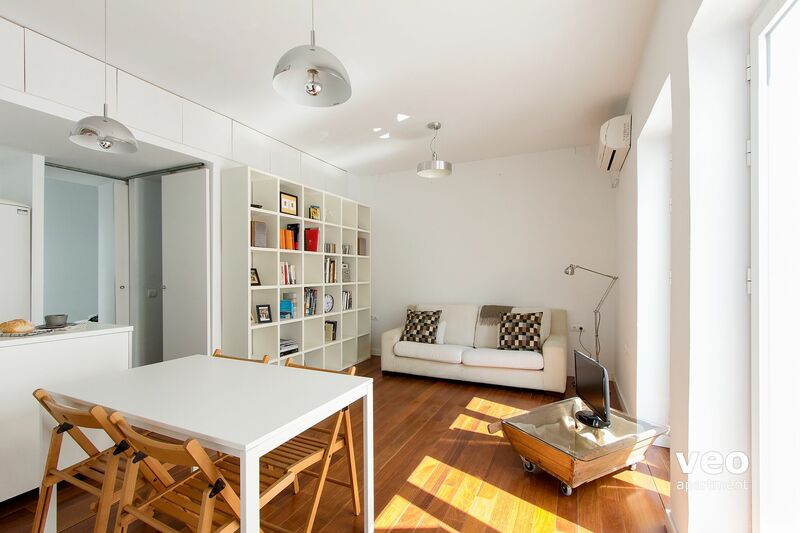 A spacious apartment which is also clean, tidy and very light. 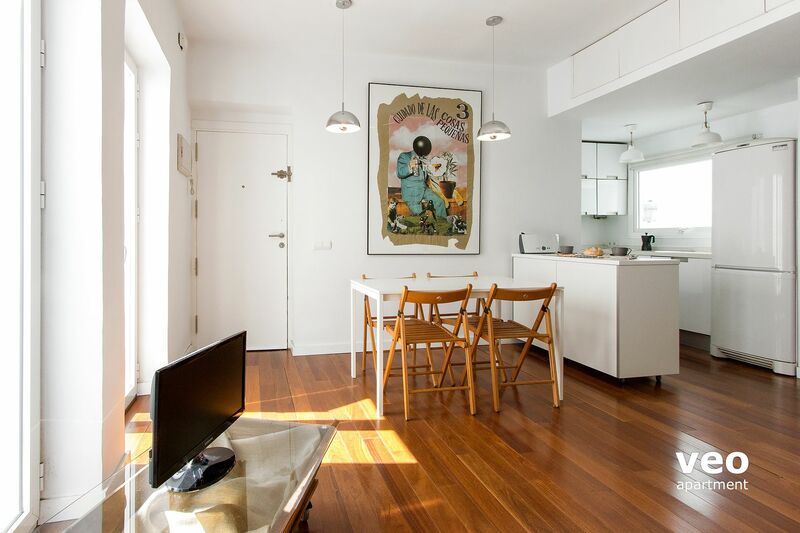 "Great apartment for an authentic taste of life in Sevilla "
Wonderful light filled apartment in a neighbourhood full of interesting locals, good food and bars. 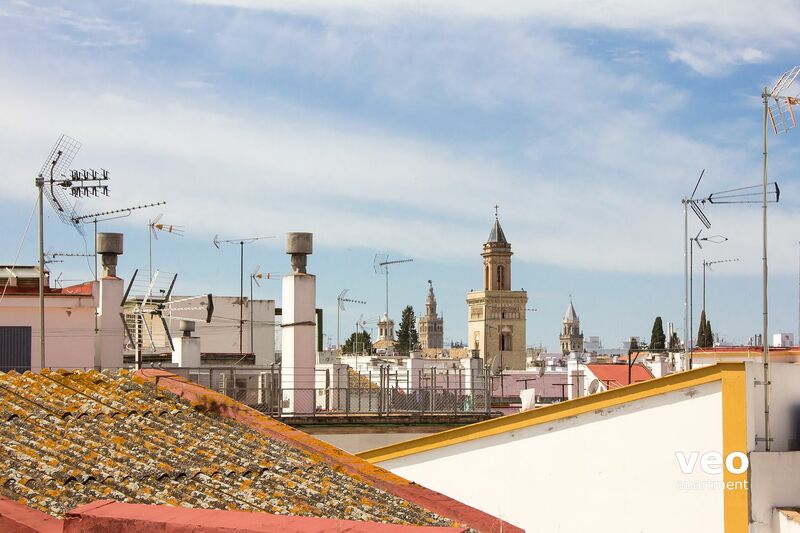 You won't bump into many tourists in this part of Sevilla, and that's part of the charm. Great stay. Très bonn accueil de Elena, très sympathique. L'appartement est bien situé, propre et confortable. Quartier très agréable. C'est une location que nous retenons et relouerons sans hésitation. 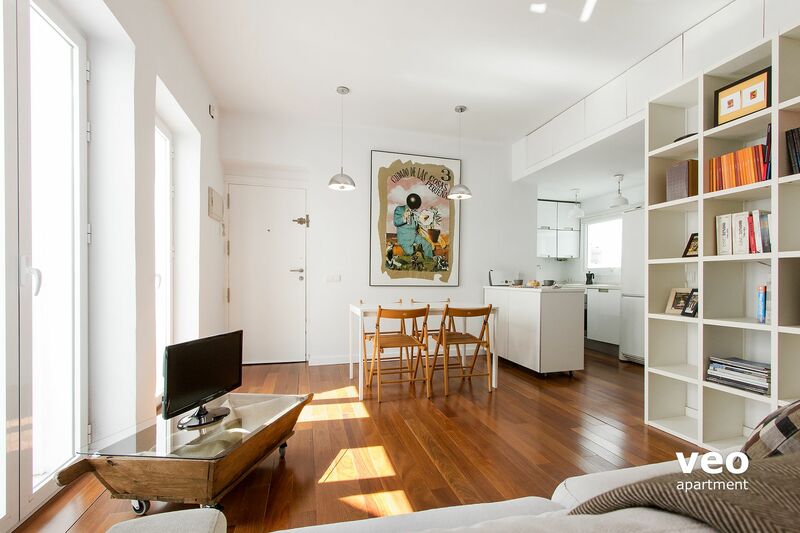 "Nice apartment, cute and complete"
I do like the location as I have been to Seville previously a couple of times, although it is 20-30 minutes walk to the major tourist attractions the upside is it is close to the Feria market which I find very interesting. The small tapas places around the market are lovely and inviting where you can see loads of locals sitting from afternoon to late night to enjoy the food and weather. 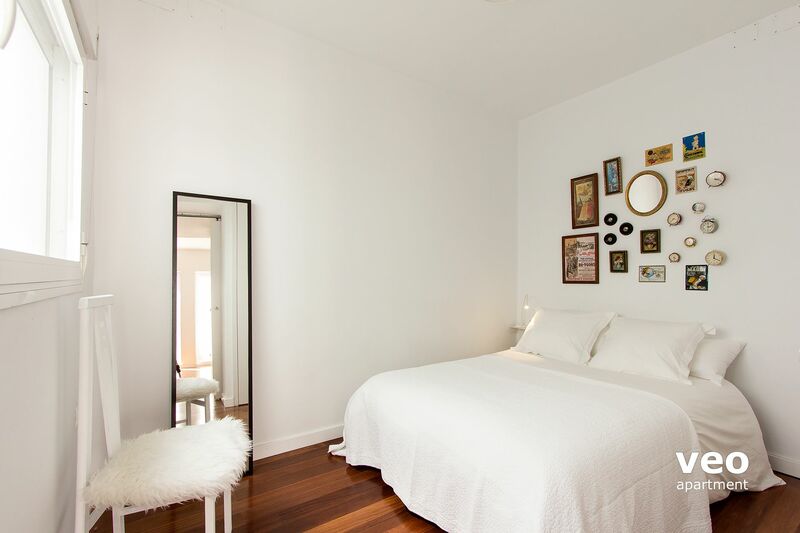 Elena is a good host and she has everything that you need and can think of in her apartment. 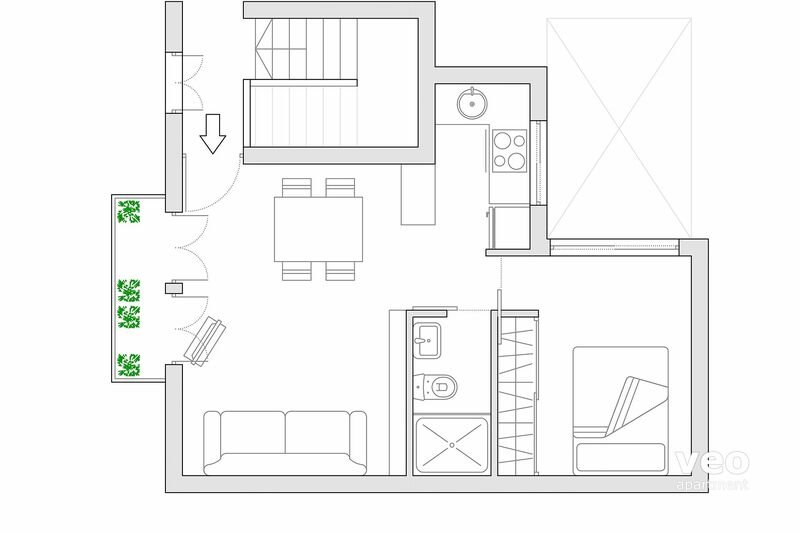 The floor plan is well-thought and nicely done. Putting everything in 40m2 is not easy and yet she creates spacey dinning and sitting areas. 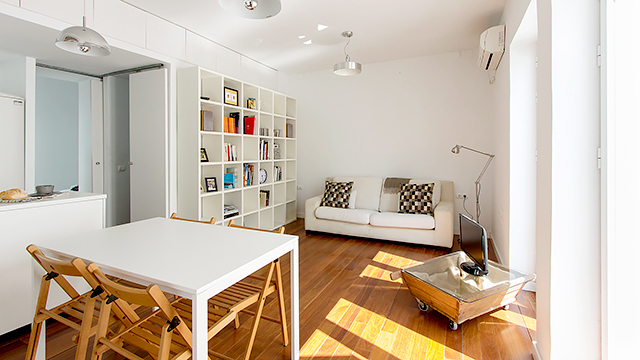 Indeed the apartment is sunny and it does give you a warm and happy feel every morning. A minor comment is if the gaps of bathroom tiles (around the shower areas) can be re-filled, then the bathroom can be felt more refreshing. Also Elena is very considerate, and she kept contact in case I need anything else. The guidance map she provided about the neighbourhood for food and shopping is spot on. I love it! One thing she does really well is cleanliness, not only the place is clean but also the cleaning stuff she used are clean. This is something worthing mentioning as I have been to other Veo apartments but didn't always have the same experience. Overall a very good experience and pleasant stay at this place. So thank you again, Elena. 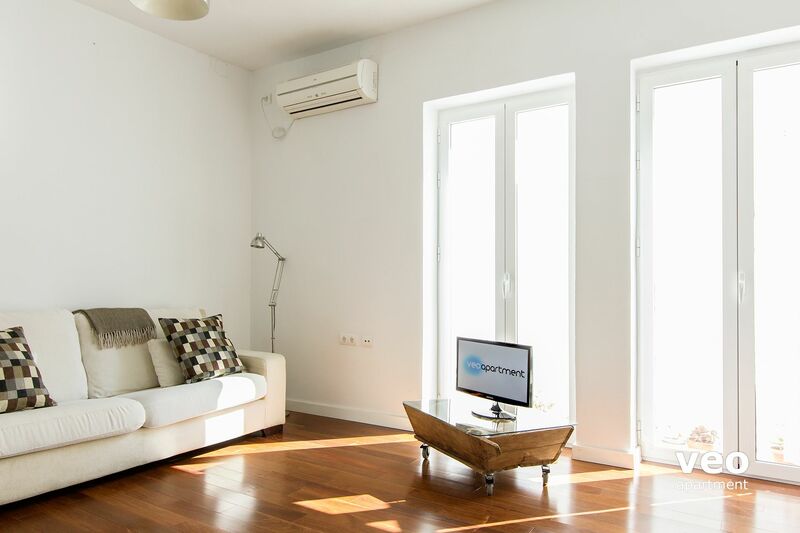 "Cosy, bright apartment which offers all the comfort you need during your stay in Seville"
We had a wonderful stay in the Santa Marina apartment. 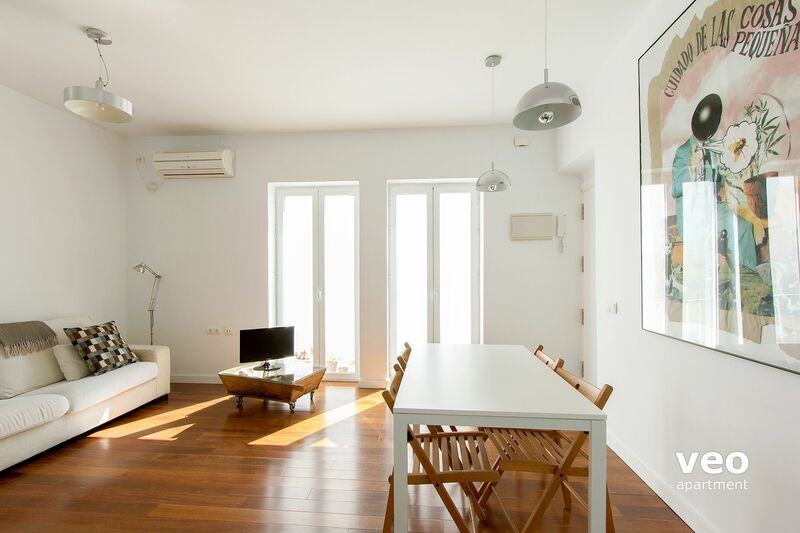 We were warmly welcomed by Santi (Elena's husband), we loved the light and modern interior and both the rooftop terrace and the free wi-fi were a great plus. 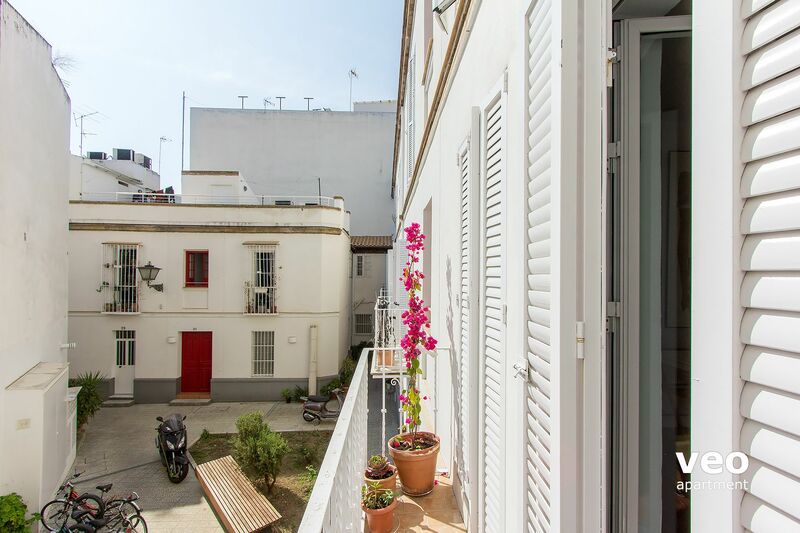 We only have two little remarks: the double bed is rather small for two people and even though the Macarena neighbourhood is lovely, the main sights might be quite far to reach on foot. 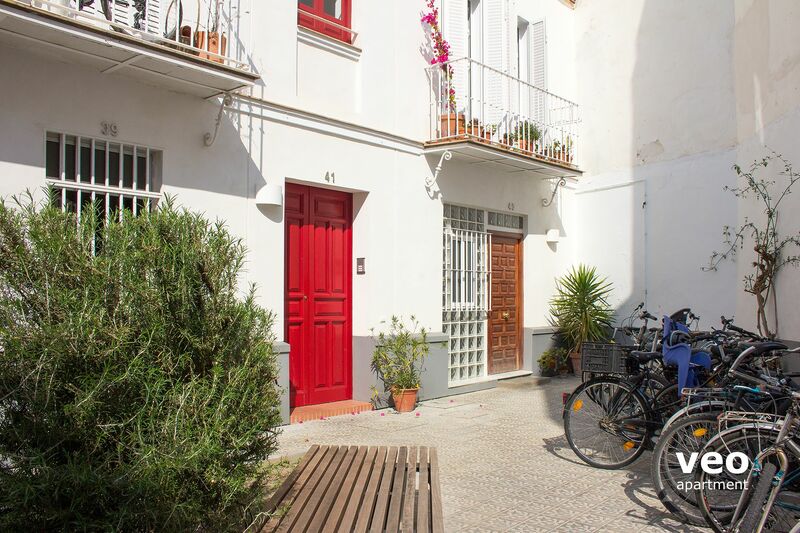 Therefore we rented some bikes, which we could safely store in the apartment's cosy courtyard. "Parfait pour une escapade à Séville ou un petit séjour à la semaine"
cadre très agréable, très propre et plein de petites attentions : boissons fraîches dans le frigo, café et divers ingrédients d'appoint à disposition. Accueil chaleureux d'Elena. Facilité à se repérer dans le quartier pour attaquer les visites. Nous avons bien apprécié cet appartement. Bien équipé, très agréable. Seul bémol un peu loin du centre historique bien que nous nous y sommes rendu toujours à pied. 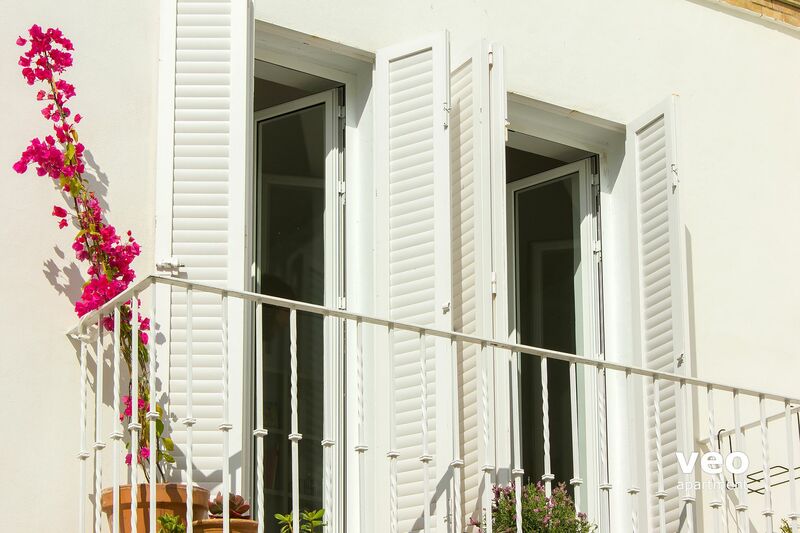 "Petit bijou d'appartement en dehors mais à raisonnable distance des sites touristiques." Même si ce n'est pas très grand, nous avons beaucoup aimé l'appartement. il est exceptionnellement équipé et est situé dans un district qui gagne à être connu. Un négatif est la petite taille de la chambre à coucher et le lit, un peu étroit pour deux personnes.